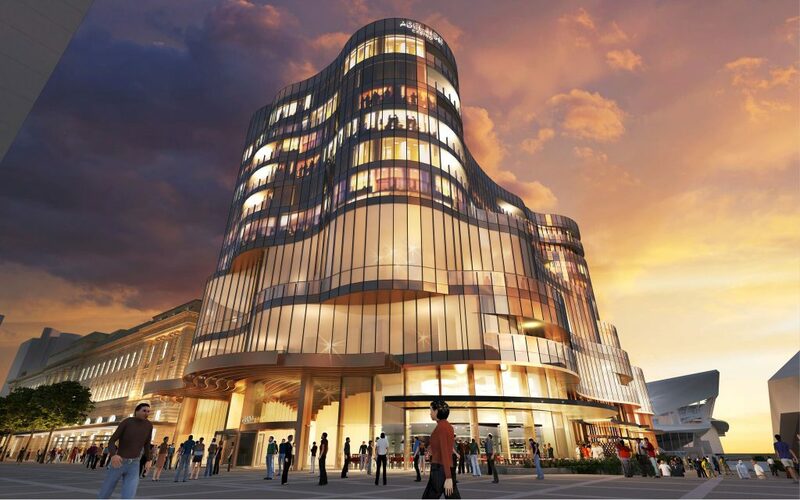 Buchan won the opportunity to work with SkyCity by creating a strong architectural design statement for Adelaide casino. The design provides a bold statement for the redesigned riverside precinct. The unique form takes the shape of a crystalline ‘jewel’ with a layered, wav-linear glass façade to reference the nearby River Torrens. Its multi-faceted arrangement gives a shimmering luminous quality a confident and a sophisticated identity. It will allow Adelaide Casino to better compete with casinos interstate and overseas and provide a tourist drawcard for Adelaide. 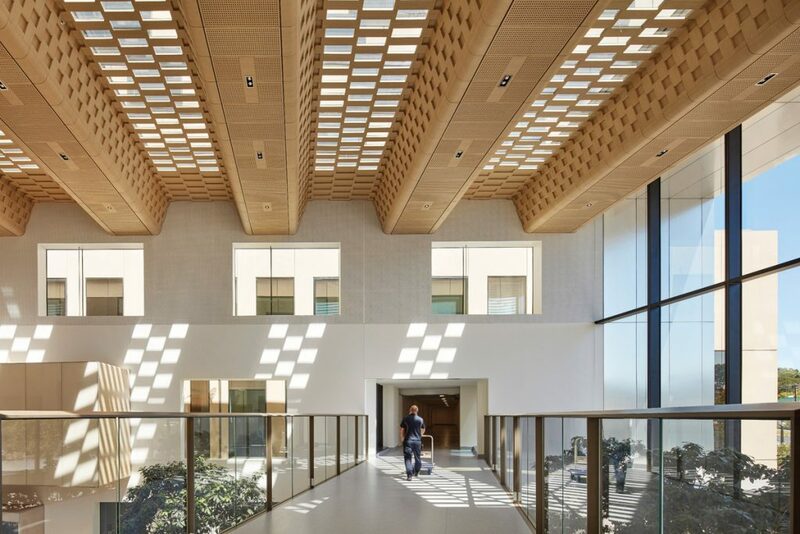 The $300 million complex incorporates active and permeable frontages at ground level to interact with the public realm. There are more gaming spaces, a six-star all-suite hotel, celebrity and signature restaurants and bars, a rooftop bar, and function spaces for up to 750 people for banquets and events. It promises to be a world-class entertainment destination. The development reinforces Buchan’s excellence in large-scale commercial design. We have also delivered casino projects such as The Star in Sydney, Skycity Darwin, and Wrest Point Casino in Hobart. 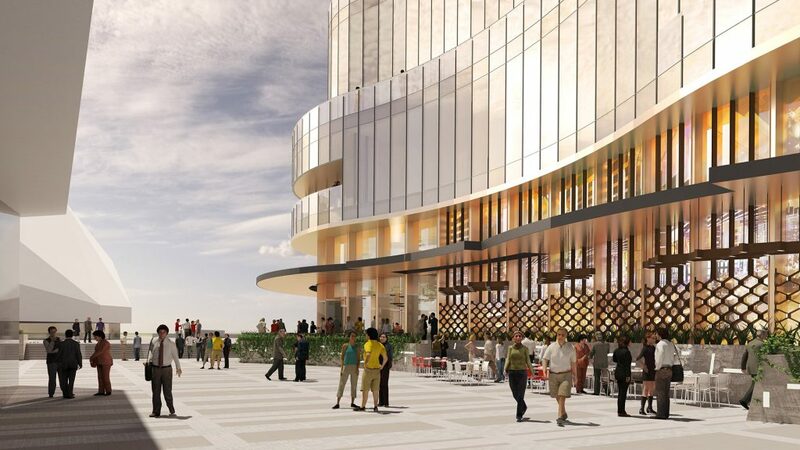 A long-planned, multi-million-dollar expansion of Adelaide Casino will go ahead, after Skycity Entertainment Group confirmed it has committed $330 million to the project more than 18 months after it received planning approval. The design for the expansion, prepared by The Buchan Group under principal David Cole, with interiors by Hecker Guthrie Walter Brooke, also includes new restaurants and bars, including a rooftop bar, and function spaces for up to 750 people. It is one of a group of large-scale projects set to transform Adelaide’s central riverbank precinct, including a $220 million redevelopment of Adelaide Festival Plaza designed by ARM Architecture and Taylor Cullity Lethlean, the redevelopment of the Adelaide Festival Centre by Hassell, and a 27-storey tower developed by Walker Corporation and designed by Bates Smart. Premier of South Australia, Jay Weatherill, said he was pleased to see the project moving forward. Skycity chief executive Graeme Stephens said the updated expansion plans would be a success for the company and for Adelaide. 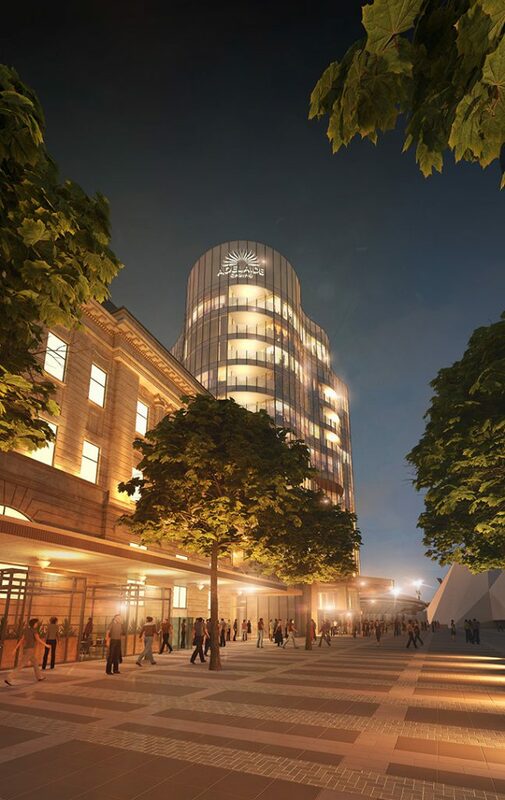 Skycity has also allocated funds within the budget to remodel the existing Adelaide Casino building in the historic Adelaide railway station. Construction on the expansion of Adelaide Casino will begin in early 2018 following the completion of early works. The redeveloped casino and hotel complex is expected to be completed by 2020.